Fire crews and support personnel have made a lot of progress on this wildfire. 46 acres have been burned and crews have successfully reached a 40% containment status. A drone incursion interrupted fire operations on both the ground and air when it forced all aircraft to land. Incident Cooperators included CMFE5, Mason County Sheriff Office, Macecom911, WA DNR Fire and the NEWIMT Team 1. 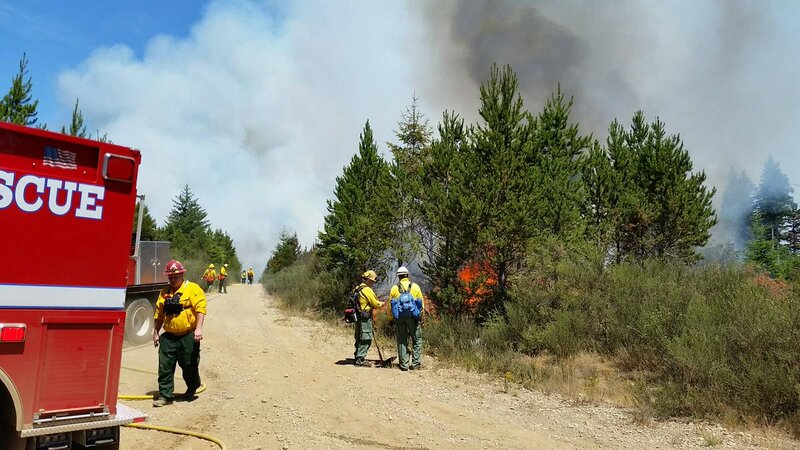 A wildfire broke out near Phillips Lake in Mason County at 1624 hours PDT, where two acres were said to be burning in heavy timber. Resources include WA DNR, Green Diamond, Central Mason County Fire & Rescue, Mason County Sheriff’s Office and other local units. 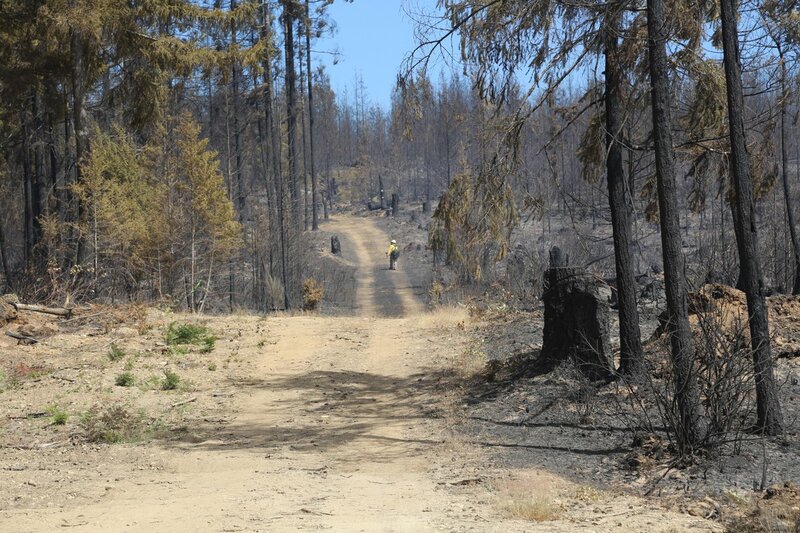 The estimated of damaged lands are about 6 – 10 acres as of 1910 hours. Due to spotty cell service, updates are very sparse. There were reports of smoke visible from those in the Puget Sound area. Mason County Sheriff’s Office has gone back into service with Mason County Fire assuming command of this fire. JULY 13, 2018 – A 35-acre was reported burning on the east side of US Hwy 101 south of California Rd near Brockdale and Johns Creek areas. Fire behavior was said to be active on two flanks and the head of the fire. Fire crews were making great progress with air resources. MAY 27, 2016 – Two brush fires broke out in Mason for a total of 7.5 acres burned. 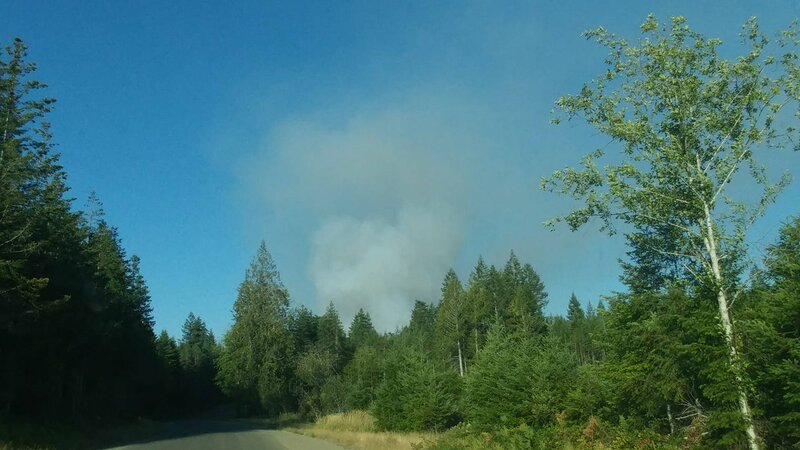 AUGUST 28, 2015 – A 20-30 acre wildfire breaks out in the area of Sunnyside Road and Skok Valley Road near Shelton. Burns in slash, timber and brush. Fire burns total of 50 acres. JULY 31, 2015 – Fire burns in the County. Winds high but were beginning to die down. JULY 28, 2014 – Mason County is quickly knocked down. OCTOBER 4, 2012 – Every available engine from Mason County is working on the RAINBOW LAKE FIRE. Evacuations were in effect. SEPTEMBER 11, 2012 – New fire is burning near the high school near Hwy 302 and Hwy 3 in Shelton. AUGUST 17, 2012 – Brush fire forces Mason County Sheriff’s Office to close Hwy 3 at Krabbenhoft Road and south of Allyn and vehicles having to take a detour to Anthony Road. JUNE 25, 2012 – Gunshots at a wrecking yard spark a massive fire with an explosion. AUGUST 18, 2011 – Wildfire EELLS HILLS shows up in Mason County burning 50 acres. MARCH 27, 2011 – Firefighters respond to a plant fire. AUGUST 24, 2010 – Firefighters respond to a wildfire named the CALIFORNIA ROAD FIRE, located 6 miles north of Shelton. Voluntary evacuations in effect. Resources include one helicopter and ground resources on-scene. AUGUST 15, 2010 – Fire destroys one structure and 60-80 acres on the RICHERT ROAD FIRE. Resources including two rotors are on-scene.